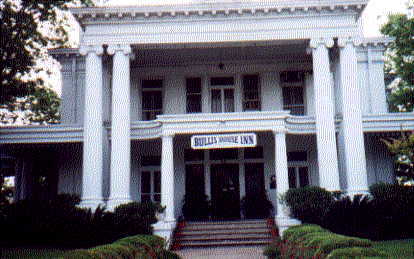 Above: The main house is the Bullis House Bed & Breakfast Inn. 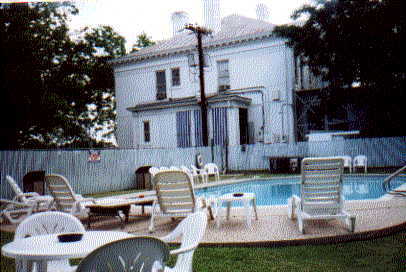 Private rooms are upstairs in the big house. Dorm rooms are in this building attached to the house. Above photo. Dorm is plenty cool. Ahhh...Another pool all to myself! 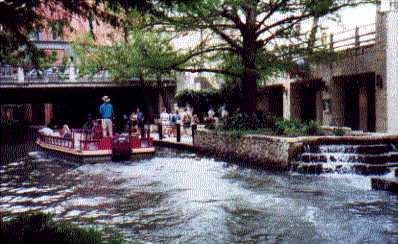 Took the bus to the Riverwalk with Andy, a Canadian hosteller I met. Later, we explored the city after dark. Had fun at the Mad Dog British Pub. 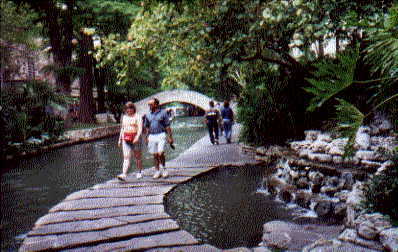 Here's a bridge I crossed on my way to Del Rio, TX. Forgot the name of it. I know I've got it written down somewhere. Had an unusual room mate. She had flown in from Minnosota. Brought all her clothes with her--suitcases, boxes, winter coats. She was holding 2 jobs, and said she didn't need sleep. She was in a very bad way. It was sad, and a little scary. Usually you only meet travelers at hostels. 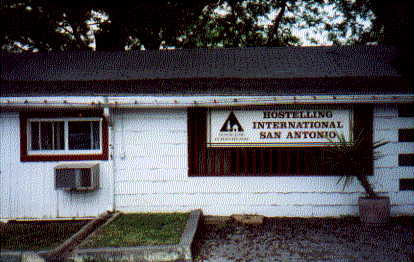 Most hostels will not let people in if management thinks they are homeless. It was a matter of time for her, but there was nothing I could do to help her.